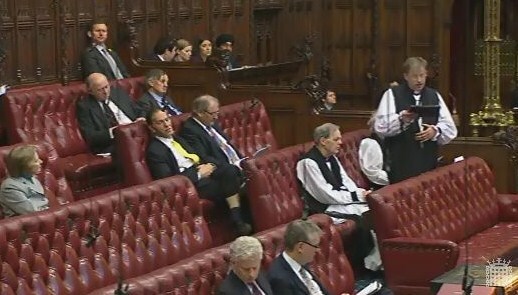 On 27th March Peers debated the Chancellor’s 2014 Budget statement. 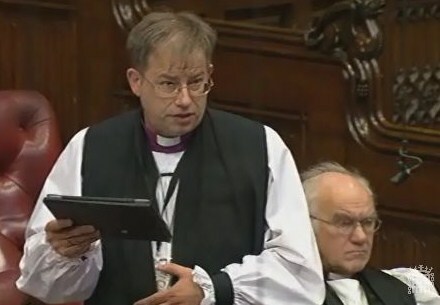 The Bishop of Sheffield spoke of the need to rebalance the economy so that the proceeds of renewed economic growth could be shared across the regions. He suggested this could be the task of a cross-party parliamentary commission. “seek the welfare of the city where I have sent you … for in its welfare you will find your welfare”. On behalf of all on these Benches, I warmly welcome the evidence of economic growth and I welcome the measures taken in the Budget to deepen that recovery. With my right reverend friend the Bishop of Chester I warmly welcome the reaffirmation by the Chancellor of our country’s commitment to spend 0.7% of our national income on overseas development. The grant of £20 million for the maintenance and repair of our nation’s cathedrals is also hugely welcome. Our cathedrals contribute to the common good as places of worship, meeting points, and agents of regeneration and support for those in need. Sheffield Cathedral is currently completing a major reordering project. It strives to be a place for all the people of the city and is home to the Archer Project, which cares for the homeless on a daily basis. Along with many on these Benches, I urge the Government to pay much closer attention to the effect of the cuts in government spending on the poorest in society. However, my appeal to the Government and to this House today is that measures are taken to ensure that growth in the economy is rebalanced to benefit not just a single city but the whole of the United Kingdom. Britain has one of the world’s truly global cities, London, where the economy is undoubtedly growing and investment is focused. We should all welcome that growth but too many of our urban areas outside London are failing to achieve their growth potential. Since 2010, 79% of private sector jobs growth has occurred in London but, in the same period, Britain’s next nine largest cities accounted for just 10% of all new private sector jobs created, according to the Centre for Cities report this year. Regional imbalances have serious consequences for our overall economy. We are not releasing the creative potential of our great cities to the benefit of their regions and the nation. This has serious consequences for the well-being of many. Youth unemployment and underemployment, for example, is a major challenge in South Yorkshire and blights many lives. As the recent Sheffield Fairness Commission powerfully illustrated, inequality between and within regions and cities has serious consequences for the overall sense of cohesion and fairness of life in the United Kingdom. The imbalance of growth by region is leading to a widening of the economic gap not only between London and the rest of the country but also between what city regions, such as Sheffield, contribute to the national economy and what they could contribute. As our economy begins to recover, I urge the Government and your Lordships’ House to give serious and strategic attention to the question of what kind of economic growth we want and how we achieve a more balanced economic recovery across the regions. This would be a suitable and urgent subject for a cross-party parliamentary commission or working group looking ahead five, 10 or more years. There are a number of urgent areas which such a group or commission needs to address. We need to rebalance our economy back towards manufacturing. I welcome the significant measures in the Budget which support this. More is needed. The current Sheffield Master Cutler has put forward a strong case for an independent office for manufacturing competitiveness mirroring the recently established Office for Budget Responsibility. We need to strengthen further the links between universities, research and industry, as commended by the recent Witty report. The Advanced Manufacturing Research Centre in Sheffield is a model for the future. It is a partnership between the University of Sheffield, Boeing, Rolls-Royce and other leading companies. The centre is attracting manufacturing and production back to the United Kingdom by research-led innovation and stimulating investment and growth. This year, the centre launched an innovative apprenticeship scheme with 150 new places this year and another 250 in each year to come. We need to develop patterns of regional collaboration and growth between cities, particularly in the north of England. We need a major shift in the balance of power to make decisions and determine investment between national and local government. The United Kingdom is one of the most centralised economies in the world. Local authorities control just 5% of money raised locally through taxation. The OECD average is 25%. Finally, we need a significant shift in the proportion of central government expenditure and resource allocation back to the regions. The large cities of the north of England have been disproportionately hit by reductions in local government spending and in investment in transport, culture and the arts and in other areas. If we do nothing, we will see the gap between London and the regions continue to widen to the detriment of the whole country. I urge the Government and this House to address this problem with imagination, courage and vigour and develop a strategy which will rebalance economic growth across the whole of our nation.